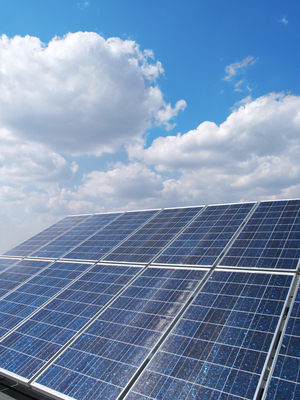 Is Solar PV a Good Fit for You? Please contact us to help with your decision. Everyone knows Solar Panels, they convert light into electricity in an environmentally sustainable way. Solar PV is the more technical name and stands for solar photovoltaic, a system which fortunately for us in the UK, doesn’t require direct sunlight to work effectively. The clean energy generated by solar PV can be used to power any of the appliances and lighting in your home or business in just the same way as electricity bought from the national grid but without the need for fossil fuels like coal or gas. If you use more energy than your solar PV array can generate you will simply use the national grid as a backup with no interruption in service. If you generate more power than you need it will flow back into the national grid. You receive a FIT payment for any electricity you generate whether or not you feed it back to the grid but exported electricity will also attract a small additional payment. When considering investing in solar PV or other renewable energy projects we understand that you need to have both trust in your installer and faith that you will get a reliable return on investment. As such we have partnered with an award winning company, one of the first to gain the MCS accreditation, a mark of quality that demonstrates compliance to industry standards. They have carried out some of the largest and most high profile solar PV projects in the North of England and together we strive to grow our reputation for high quality customer service, fine craftsmanship and exceptional products. Project experience ranges from installing solar PV panels for homeowners as well as working with building developers to incorporate solar panels into new builds, to helping companies develop revenue from installations on warehouses, offices or agricultural buildings, solar PV farms, schools and historic buildings. Reputation is based on a track record of satisfied customers. Over 90% of new projects come from referrals from satisfied customers that are willing to provide glowing testimonials. Clients appreciate that the best possible returns on investment can only be achieved from a premium quality system that utilises top-quality components, designed and integrated by an experienced solar PV professional. This confidence has been built by focusing on the delivery of a robust solution that will last, and be trouble free for at least 25 years and as such all installations come with a 25 year manufacturer’s guarantee of efficiency.